Most schools are constantly in need of things that go above and beyond the funding by the county and state. At Blue Ridge School and Blue Ridge Early College, those financial gaps are filled, in large part, by the Blue Ridge School Education Foundation. 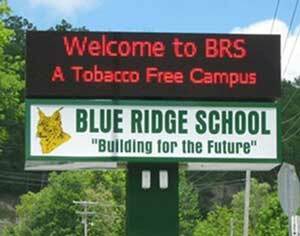 Founded in 2002, the Blue Ridge School Education Foundation was established as a 501(c)3 charitable entity in 2010 to provide Blue Ridge School and Early College with programs and technology not ordinarily available through the regular school system. Tell us how to use your investment! We have many donors who prefer to support a specific program or project - no problem! We will work with you do be sure your investment in our children is applied as you wish!